It had always struck me as rather odd that the US have chosen to employ highly trained military pilots to fly UAVs. 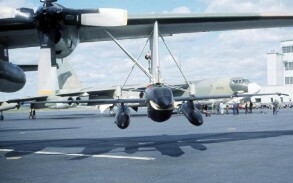 In the Vietnam War, when RPVs were utilized on a variety of missions, the actual launch and operational legs of the sortie did not require the intervention of a qualified pilot, only during the recovery did a pilot become involved. When Israel first began operating small UAVs, little bigger than large model aircraft, they used conscripted personnel who had experience of flying radio controlled model aircraft to pilot the UAVs. The highest levels of the USAF, in common with most other air forces throughout the world, are dominated by pilots, usually fast-jet pilots. Many of these individuals were resistant to the development and deployment of Cruise Missiles, rather than strike aircraft during the Cold War and adopted a similar stance when the new generation of UAVs first appeared. However, the performance of the GNAT-750 over Bosina soon made the widespread introduction of UAVs into USAF service inevitable, and to help overcome the resistance of the many UAV opponents, it was felt necessary to have a fully qualified pilot at the controls. Now that UAVs have been in service for a while, perhaps it’s time to address whether the employment of military pilots as UAV pilots is both really necessary and the most cost-effective option. A paper submitted to the US Air & Space Power Journal in Spring 2005 by Maj James C Hoffman and Charles Tustin Kamps entitled “Future manning for unmanned aerial vehicles” addresses this very issue and draws some interesting conclusions. In the paper they argue that, as the USAF currently suffers from a critical shortage of pilots, removing a fully qualified pilot from his cockpit for a 36-month tour as a UAV pilot, is both expensive and disruptive to the pilots career progression. Furthermore, it would make sense to retain UAV pilots beyond a 36-month tour to build up experience levels and also develop a formal UAV/UCAV force career path to encourage people to remain within this specialisation. This matter needs to be addressed as a matter of urgency, as the deployment of more UAVs and the eventual introduction of UCAVs will only acerbate the problem, particularly as the USAF currently struggles to find even 20 pilots a year to volunteer for UAV pilot duties. A study published in 2002 by the US Air Force Research Laboratory concluded that flying experience in T-1 or T-38 during specialised undergraduate pilot training aircraft was not required to fly a UAV. In addition, Hoffman & Kamps suggest that it would be more cost-effective to employ properly trained non-aircrew junior officers for UAV pilot duties. These individuals would undertake initial flight training to PPL standard, followed by a commercial instrument rating, before completing Predator UAV Initial Qualification Training (IQT). They argue that these people would be highly motivated, knowing from the outset that they would remain within the UAV community for the majority of their service, where their knowledge and expertise would be of most benefit. The cost-savings alone by implementing this solution are considerable, evening without quantifying the dilution of experience levels that currently occurs when qualified pilots are posted to UAV duties. Hoffman & Kamps is certainly a radical suggestion, but one that I think has considerable merit and in time may even come to fruition. It is perhaps significant that already two UAVs are already under development that will not employ a fully qualified military pilot. By 2008 the US Army plans to field an Extended Range Multipurpose (ERMP) UAV capable of carrying various payloads including electro-optical, communications relay, radar and up to four Hellfire missiles. It was recently announced that the competition had been won by the General Atomics Warrior, a descendant of the Predator and similar in size. However, the US Army are insisting that the ERMP will be flown by an enlisted soldier, rather than a qualified pilot. In the UK the planned Watchkeeper UAV, a version of the Israeli Elbit Systems Hermes 450 UAV, will be operated by 32 Regiment, Royal Artillery and flown by a soldier, rather than a pilot. These decisions by the US and UK Army on who they intend to employ to pilot these large UAVs beg the obvious question, if they don’t need a highly qualified military pilot to fly these UAVs, why do the UASF and RAF? Whether military pilots like it or not, UAVs and UCAVs are likely to become a crucial element in the order of battle of any modern air force. To ensure that military commanders gain the maximum benefits that these unique vehicles will provide, I believe it will be essential to have well manned units, employing highly motivated operators who owe their allegiance to the UAV community first, rather than employing staff on temporary duty from manned aircraft squadrons. Whether the US and UK military organisations will firmly grasp this nettle, or pretend the problem doesn’t exist, remains to be seen. U.S. Air Force restrictions on the management of unmanned aerial vehicle (UAV) operators have reduced the developmental potential of these technologies. A training plan that more effectively utilizes the USAF personnel resources would result in a more operationally robust UAV force. This proposed training plan first recognizes the importance of experienced combat pilots in the development and integration of UAV technologies into the combat air forces. However, it also recognizes the inherent differences between UAVs and traditional aircraft. This paper addresses two of these differences. First, because pilots do not physically fly in the UAV, they would rather be assigned to traditional flying units. Secondly, the different physiological and motor skills requirements of UAV operators as compared to pilots justify different training requirements. Taking these two items into account, the new plan recognizes budgetary, personnel, and cultural constraints within the Air Force while maximizing personnel training dollars. The proposed training plan uses limited Air Force resources more effectively, resulting in a more motivated and combat capable UAV operator force. The capabilities of unmanned aerial vehicles continue to expand with the advent of new technologies. Recently, UAVs proved their combat worthiness in operations over Iraq and Afghanistan. These successes only increase the demand for the limited UAV resources. Not surprisingly, the amount of money invested into UAV research continues to grow. At the same time the number of manned aircraft within the Air Force inventory continues to decline. As the number of UAV airframes increases, so will the demand for individuals to remotely operate these air vehicles. Military leadership continues to call for the advancement of UAV technologies and support these calls with defense dollars. Senator John Warner, chairman, Senate Armed Service Committee believes that by the year 2010, one-third of deep strike aircraft should be unmanned. General Jumper, in his Global Strike Task Force, calls for UAVs to have the capability to maneuver around, or go through advanced defensive systems. 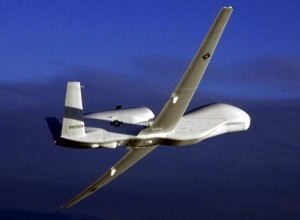 The 2001 Quadrennial Defense Review Report states, “The Department of Defense will procure unmanned combat aerial vehicles and intelligence, surveillance, and reconnaissance unmanned aerial vehicles such as Global Hawk.” These beliefs by senior leadership are supported by a 2004 fiscal year budget request of over $1 billion for Air Force UAV production and development. Once tasked only for reconnaissance, advances in technology allow modern Air Force UAVs to support regional combatant commanders like never before. Many experts state that the Air Force is still anxiously awaiting the arrival of its unmanned combat aerial vehicle (UCAV). However, the successful Nov 2002 attack on a senior al Qaeda terrorist in Yemen proves that the Air Force already maintains a platform capable of combat. The Predator A, although often operated by Central Intelligence Agency operatives and often restricted by numerous operational constraints, is deployed to many theaters of interest, proving its limited operational worthiness. The advent of the Predator B only enhances these capabilities. Predator B eliminates some of the operational constraints of the A model, will be capable of increased loiter time, an internal payload of 750 lbs, and an external payload of 3000 lbs. In addition to Hellfire, the Predator B will be capable of employing a variant of the combat proven GBU-31, the GBU 30, a 500 lb class version of the Joint Direct Attack Munition (JDAM). 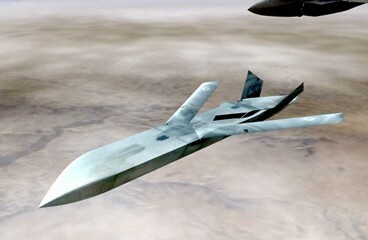 In addition to the Predator B, the Air Force also presses forward with its development of the UCAV. Currently under some pressure for reevaluation of its operational requirements, the UCAV has already successfully undergone initial flight testing. Whatever the result of the testing program, the UCAV will bring additional combat capabilities to UAVs beyond those of the Predator. The challenge of finding volunteer pilots to serve as willing UAV operators has been no small task. A former Predator squadron commander characterized a large part of his squadron personnel as those classified as, ‘sick, lame, or lazy,’ within the personnel system. On April 29, 2002, The Wall Street Journal reported a story, “Top Guns Grounded: Pilots Fume at Duty on Unmanned Craft,” which focused on the discontent felt by fighter pilots stationed at Indian Springs while flying the Predator. Only in the past 6 or 7 years have the Predator and Global Hawk had a significant impact on the assignment system. Before that time pilots never heard of anyone ever getting a UAV assignment. There is no doubt that over time, UAV assignments will continue to work their way into the culture of Air Force pilots. However, there is also no doubt that as long as Air Force pilots continue to go through a traditional pilot training program where they are required to fly aircraft, that they will resist these assignments. Few professions garner as much enthusiasm and excitement as military aviation. Throughout the twentieth century numerous stories of daring aviators thrilled movie theater audiences and readers alike. Millions have read the tales of the brave test pilots in The Right Stuff. Even more have seen daring naval aviators dance the skies in Top Gun. What pilot cannot relate to the poetic words written by John Gillespie Magee Jr.? Pilots pursue the aviation profession not just because it’s a job. For the most part, pilots fly because they love to fly. Flying challenges pilots, both physically and mentally, often drawing on their bravery and courage. Pilots join the Air Force to fly airplanes because of their inherent love of flight, not to control UAVs from the ground. The next decade of UAV operations promises numerous capability upgrades. As UAVs move from a supporting role to more of a supported role, they will require the expertise of combat experienced aviators. There is no question that fighter and bomber pilots, navigators, and weapons systems operators are the most qualified individuals to develop the tactics, techniques, and procedures of UAVs for incorporation into the combat air forces. These air warfare experts bring to the planning tables experience that no one else can. The challenge becomes how to continue the development of these very important UAV technologies, while keeping the pilot force motivated, inherently a difficult task. While current Air Force policy states that UAV operators must either be rated pilots or navigators, one option would be to indefinitely continue to force pilots into ‘voluntary’ UAV assignments. However, this option brings with it several disadvantages. First, it forces Air Force pilots into assignments they do not want. Although comprised of professional aviators, what pilot cannot relate to the disappointment of being assigned to a base where their flying skills, skills that they have been training for years to develop, will no longer be challenged? Second, related to the staffing of these positions by pilots, is the opportunity cost by not staffing UAV operator positions with non-pilots. As UAV operators, the thousands of highly motivated individuals not medically qualified for aviation service now have an ideal position to serve on the ‘tip of the spear’ in an operational combat unit. A change in Air Force policy governing the staffing of UAV operators would increase the motivation levels in the UAV community. It would allow for development of a UAV specific syllabus which would result in better trained UAV operators while at the same time saving a significant amount of training dollars. In the end the UAV community would benefit by providing a more combat capable force. While the Predator and Global Hawk go through their trials and tribulations, the F/A-22 also undergoes development. Last year, the Air Force asked for volunteers to operationally test and evaluate the stealthy new fighter jet. Hundreds of fighter pilots volunteered to be one of the first to fly what will be the most capable fighter jet ever produced. After review by a formal selection board, the Air Force released its list of operational and test evaluation pilots. Not surprisingly, each of the seven pilots is a graduate of the premiere USAF Weapons Instructor Course at Nellis AFB. These highly qualified aviators will be responsible for test and evaluation of the Air Force’s newest and most capable fighter technology. This process of taking the most highly qualified individuals and tasking them with developing the tactics for new weapons platforms only makes sense. The important point to take away from the comparison of the F/A-22 with the Predator is this: Volunteers for the F/A-22 will continue to flood the personnel center. Once selected, pilots will have to be taken away kicking and screaming from their position as F/A-22 pilots. In contrast, Predator pilots seldom volunteer for their assignment. Once assigned to a Predator squadron they normally anxiously count the days until their departure. However, in order to develop UAV operations to their fullest, UAV squadrons require committed individuals, expert in their operation. UAV squadrons require individuals with a sense of ownership that have to be taken away kicking and screaming. Now that multiple UAV squadrons have established themselves, and for the foreseeable future UAV operations will only continue to expand, why must we continue to train fixed-wing pilots to fly UAVs? The medical requirements to fly UAVs are different from those of manned aircraft. Of even more significance is the difference between the UAV operator-UAV interface and that of the pilot-aircraft interface. A fundamental difference exists between the two man and machine interfaces. Currently, in order to be eligible for AVO training, the U.S. Air Force requires individuals to either be a graduate of Specialized Undergraduate Pilot Training or a graduate of Undergraduate Navigator Training and also possess a current FAA fixed wing pilot and instrument certificate. There is no other public plan to develop a separate syllabus for AVOs. This policy is overly conservative and costing thousands in unnecessary training dollars. A new syllabus that focuses on the training requirements of AVOs and eliminates the Class A flight physical examination is required and overdue. Individuals who aspire to grow up and one day become UAV operators should not require the same rigorous physiological training that pilot training candidates endure. UAV operators do not maintain the same physiological requirements. When the same physiological requirements are placed on UAV operators as those placed on pilots, the end result is wasted training dollars. In addition to requiring different medical standards, UAV operations differ significantly from those of aircraft operations. The methods of controlling a UAV differ from that of a traditional aircraft. Some of these control mechanisms more closely resemble that of flying an aircraft with traditional stick and rudder skills. The Predator A model makes use of manipulation of a stick and throttle with the addition of keystrokes on a keyboard to control the air vehicle. Still other UAV control systems resemble more closely that of a fully automatic aircraft autopilot. Global Hawk does not use a control stick or a throttle. Control is accomplished completely through the use of keystrokes through a keyboard. Some have classified these various control systems as remote, semiautonomous, and autonomous. As future UAVs complete development, vehicle control will fall under one of these three classifications or may operate across a combination of the three. New technologies will most likely continue the trend in automation. This will reduce the workload on the operator and is aimed at increasing survivability and combat effectiveness. Another inherent difference between flying aircraft and controlling UAVs is the requirement of multiple datalinks. The datalink is the lifeblood of a UAV. UAVs depend upon datalinks for their flight control and sensor control. They also depend upon them for the monitoring of aircraft systems. Finally, a datalink makes it possible to transmit important data collected through onboard sensors. In order to effectively operate any UAV, a thorough understanding of the electro-magnetic spectrum is necessary. The allocation of bandwidth within a theater of operations will someday become the difference between whether a particular airframe can operate or not. In contrast, nowhere in the Specialized Undergraduate Pilot Training syllabus is the management of the electro-magnetic spectrum covered in any detail. A review of USAF aviation mishaps continues to point out the fundamental differences between the control of aircraft and the control of UAVs. More importantly, it highlights the training dollars wasted to train UAV operators how to handle physiological situations that do not impact UAV operations. In the last ten years the Air Force has experienced multiple Predator and Global Hawk mishaps. Not a single mishap was related to physiological factors. In comparison, over the past ten years, the Air Force reported over 1000 physiological incidents in traditionally manned aircraft. These incidents included hypoxia, g-loss of consciousness, airsickness, and rapid decompression to name a few. Several of the UAV mishaps were due to the loss of one or more aircraft systems. In a traditional pilot training syllabus, pilots are taught how to recognize the loss of, or the impending loss of aircraft systems through several means. Obviously cockpit instrumentation provides an important reference. However, many indicators are a direct result of physically being in the cockpit – aircraft vibrations, unusual noises, odors, the sound of the airflow around the cockpit, and acceleration forces. These sensations do not exist in UAV operations. A tailored UAV syllabus would focus on these inherent differences and correct training deficiencies. An updated syllabus aimed at training UAV operators would result in a significant reduction in training costs as compared to the specialized undergraduate pilot training (SUPT) syllabus. Significant savings could be realized in three areas- first, a reduction in flying hour costs, second, elimination of the physiological training requirements of the SUPT syllabus, and third, increase in UAV simulator events. Flying hour costs for the T-38 are $1500. Flying hour costs for the F-16 are upwards of over $3800. In comparison, flying hour cost for the Predator are significantly less expensive at under $200. Elimination of the requirement for UAV operators to be rated pilots would eliminate millions of dollars of flying hour training costs. Additionally, elimination of the physiological training requirements for AVOs would also reduce overall training costs as compared to training pilots. Adjusting a pilot’s body to the rigors of high-g maneuvering, operating off of 100% oxygen, spatial disorientation, and optical illusions are just a few of the physiological challenges that pilots require training to overcome. None of these factors affect AVOs. Finally, because the interface between the AVO and the UAV and the interface between the AVO and a UAV simulator are so similar, a greater portion of the UAV syllabus could be converted to simulator training as compared to the SUPT syllabus. 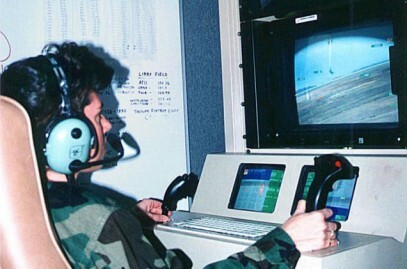 When sitting at a UAV control console, a UAV operator receives the same sensor inputs as when operating in ‘simulated UAV flight’ vice ‘actual UAV flight’. Therefore when converting portions of the syllabus from actual UAV flights to simulated UAV flights the net result is minimal loss of training effectiveness for the operator while at the same time saving training dollars. Comprising the UAV operator force of all volunteers would positively serve the UAV community through its existence. Many might ask where would these volunteers come from? I would argue that once a new training syllabus is created and a new community was officially established, individuals would step forward anxiously looking for the challenge of operating UAVs. Flying aircraft is not a profession that everyone aspires to do. Many individuals may have the desire to be a part of the ‘operational’ Air Force but not want to fly airplanes. Still others might have medical or physiological restrictions that keep them out of the cockpit. Countless highly motivated individuals who want to serve at the tip of the spear are restricted from flying operations due to the numerous physiological requirements. Many people simply don’t enjoy the physical sensation of flying. Others are not medically qualified to fly. Even prior to ever touching an aircraft, the initial medical screening process eliminates a percentage of pilot and navigator candidates. Once enrolled in a flying training course, additional medical standards result in the elimination of still more officers. Air Education and Training Command Instruction 36-2205 spells out guidance for medical management requirements during formal aircrew training. Three primary areas include airsickness, manifestation of apprehension, and in-flight G-tolerance problems. Every year an additional percentage of officers are eliminated from training due to these factors. Individuals medically disqualified from aviation service are forced to seek roles that support the war fighter. However, since the operation of a UAV does not require the individual to actually fly, the only medical requirements become that of world-wide deployability. Although medically ineligible to fly aircraft, a significant portion of these officers may be medically qualified to operate UAVs at the very tip of the spear, perhaps one day putting bombs on target. While keeping the objective of producing the most combat effective UAV operators at the lowest cost, the following conclusions can be drawn. In order to build a credible UAV force an all-encompassing rated force plan must be developed. The plan must take into account the Air Force’s limited financial resources, limited number of pilots, and finally, the ever-important Air Force cultural considerations. The following three-phased plan leverages the expertise already within the combat air forces while pressing forward towards the establishment of, and eventual independence of, a cadre of UAV specific experts. Phase I (next 5 years) Since so little combat experience resides within the UAV weapon systems, it is necessary for UAVs to continue to draw upon the expertise resident within other major weapon systems. Highly experienced fighter and bomber pilots, navigators, and weapons systems operators will continue to leave their major weapon system to transfer their expertise to UAV operations. However, simultaneously the Air Force needs to build an acceptable training syllabus that produces UAV operators from the bottom up. This syllabus must satisfy the FAA requirements to operate as a pilot would in controlled airspace. It must satisfy the Air Force’s stringent requirements for engrained military flight discipline and at the same time be tailored to meet the unique training requirements of UAV operations. Phase II (5-10 years from now) of the implementation plan calls for the introduction of these young officers, trained under the new UAV syllabus to enter service within operational UAV squadrons. Similar to the young lieutenants that enter fighter squadrons for the first time from their initial major weapons system training, the young UAV operators will serve within UAV squadrons training to become experts at the employment of their weapon system. Throughout their careers they will move between UAVs in order to learn the unique challenges associated with each different UAV platform. By working side by side with combat experienced pilots, they will gather the necessary skills required of them to continue the integration of UAVs into the combat air forces. Phase III (10-15 years from now) establishes the UAV major weapon systems’ independence. 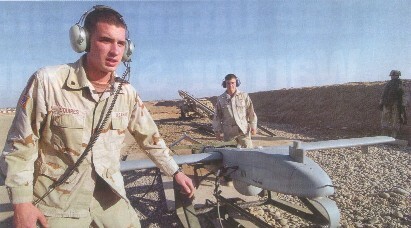 The unmanned weapons platforms will no longer depend upon manning support from pilots. Enough expertise will have been developed over the previous 10-15 years to self-sustain its existence. This is not to say that pilots that have been medically disqualified from flying service will not filter into the community on a limited basis. The community will continue to absorb pilots in limited numbers but will be capable of self-sustaining itself. Change within any organization is never without turmoil. This case is no different. The U.S. Air Force has a rich heritage as a rated, manned-aircraft force. The transition to a partially unmanned force will be controversial. However, in order to maximize the impact of unmanned technologies, many significant changes are required. These changes not only maximize training dollars, but most importantly produce a UAV community most capable and ready to support the Air Force’s Global Strike vision. The existence of the D-21 was unknown outside those closely involved with its operation until 1977, when seventeen D-21s suddenly appeared at Davis Monthan AFB for long-term storage. The 'mini-blackbird' configuration of the D-21 immediately started aviation enthusiasts speculating on their operational use and gradually the full story emerged. The loss of Gary Powers in his U-2 over central Russia on 1 May 60 sent shock waves through the administration of President Eisenhower and he quickly decided to ban all further manned overflights of Russia and China. This decision posed something of a dilemma for Lockheed when they first flew the A-12 on 26 Apr 62, as the CIA planned to use the aircraft as a 'follow-on' aircraft for the U-2 on the USSR overflight programme. 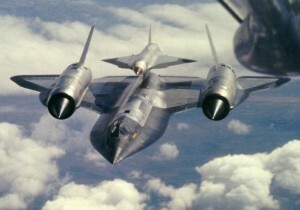 Planned from the outset as an 'overflight' rather than a 'stand-off' reconnaissance aircraft, the A-12 possessed blistering performance and was capable of sustaining Mach 3 at 90,000ft, easily beyond the capabilities of the SA-2 Guideline missile. However, the ban on manned overflights of Russia and China was unequivocal, effectively curtailing at a stroke the reason for the planes existence. Kelly Johnson, who headed the 'Skunk Works' team responsible for the design of the A-12, had already considered the possibility of mounting an unmanned drone on the A-12, then on 10 Oct 62 the CIA finally authorised him to study just such a system. It was quickly decided that a highly modified version of the Marquardt RJ43-MA-11 ramjet engine, previously used to power the Boeing Bomarc IM-99B missile, could achieve the performance envisaged for the drone - then known as the Q-12. The basic design of the chine delta had already proved itself on the A-12, so this layout was quickly adopted for the drone. Marquardt successfully redesigned the RJ43-MA-11 ramjet engine, finally producing virtually a new engine, designated the XRJ43-MA20S-4, which proved capable of sustained performance for 1.5 hours - a previously unheard of level of performance for a ramjet. By Nov 62, although the actual specification required by the CIA had never been clearly determined, Kelly Johnson had figured out they were looking for a drone with a range of 3,000 miles and a payload of 425lbs including a camera capable of providing 6-inch resolution of targets from the operating altitude. Weighing only 17,000lbs and built of titanium and composite materials, the D-21 would have the lowest Radar Cross section (RCS) of any vehicle constructed at the Skunk Works. The D-21 was designed from the start as a 'one-way' system - after following a pre-planned route to the target and taking the photos, the drone would return to a pre-determined position over the sea, shut the ramjet down and eject its hatch, containing the exposed film, before self-destructing. 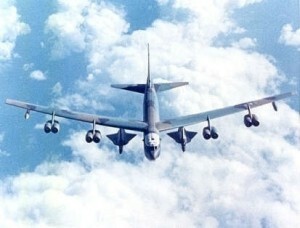 The hatch would then be snatched from the air by a JC-130 as it descended on its parachute - that was the theory anyway. Only 38 D-21's were built and of those only 21 actually flew - 17 off the B-52H, including the 4 operational missions over China. 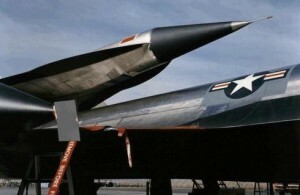 On 20 Mar 63, the CIA finally gave Lockheed a contract to build the Q-12 and attention then turned towards the A-12 aircraft that would carry and launch the drone. Whilst still in their design stage, two A-12s (60-6940 '134' and 60-6941 '135') were modified to carry the Q-21 and would be known as M-21s, to avoid confusion with standard A-12s. The two aircraft carried the drone on a top-mounted dorsal pylon located on the rear centreline between the engines and the vertical stabilisers. In addition, the 'Q' bay that normally carried the camera payload, was modified into a second cockpit for the D-21 launch control officer. The designation of the drone was also changed and it was changed from the Q-12 to the D (for daughter) 21 (adopting the numerals of the M-21 'mothership'). However, by Oct 63 Kelly Johnson was already beginning to have concerns about the difficulties that would be encountered in launching the D-21 from the M-21, involving as it did a 0.9g pushover manoeuvre at Mach 3, - considering what eventually happened, he was right to voice his concerns. After the first M-21 / D-21 combination was fitted together successfully on 19 Jun 64 in the Skunk Works, the items were delivered separately to Groom Lake and on 22 Dec 64 Bill Park took the combination airborne for the first time. However, because of problems with some D-21 components, particularly the Minneapolis-Honeywell Kollsman star tracker guidance system, no launches were possible. Finally, on 5 Mar 66, Bill Park and Keith Beswick successfully launched a D-21 from an M-21 and, although the D-21 was lost 120 miles from the launch point over the Pacific, the basic concept had proved successful. However, Kelly Johnson continued to voice his concerns stating "This was the most dangerous manoeuvre we have ever been involved in, in any aeroplane I have ever worked on". Kelly's concerns were hardly surprising when you consider the D-21 launch sequence. After a final top up from a tanker, the A-12 would separate and start to climb and accelerate, all the time circulating the D-21's fuel back through the M-21's fuel system to ensure it was cooled, as the D-21s skin temperature rose to 600F. The D-21's ramjet was fired up once the M-21 was above 60,000ft, usually five minutes before launch, and once wound up to full power gave the M-21/D-21 combination an additional 1000lbs of thrust, quickly pushing the speed up to Mach 3.5. Then provided the LSO was happy with the indications he was receiving from the D-21, it was time for the pilot to 'bunt' the combination down and part company with the D-21, or shut the ramjet down, to prevent the M-21 from exceeding the maximum design speed for the aircraft. The second launch went even better with the D-21 flying 1,200 nm, reaching 90,000ft and Mach 3.3 before a hydraulic pump overheated and failed. On 16 Jun 66 the third test launch proved the most successful. The D-21 flew 1,600nm making 8 programmed turns to remain within sight of a tracking ship, but failed to eject the camera package towards the end of the flight. Still Johnson had his concerns about the safety of launching from the M-21 and proposed substituting the B-52H as a launch platform, with the D-21 propelled to its optimum height and speed by a solid rocket booster stage. Then, on 30 Jul 66, disaster struck on the fourth launch in which it was planned that M-21 '135' would launch D-21 '504'. Shortly after launch at Mach 3.3 the D-21 suffered an 'unstart' of its ramjet, rolled to the right and collided with the right wing of the M-21. This caused the M-21 to pitch-up sharply, breaking off the nose section. The two crewmembers, pilot Bill Park and LSO Ray Torick ejected successfully, but although Bill Park survived, Ray Torick suffered injuries in the high-speed ejection and drowned in the Pacific. All this was captured on film by M-21 '134' flying chase at Mach 3.3. Johnson had, as was so often the case, been proved right and insisted that the programme be abandoned - from that point on the D-21 would only be launched from a B-52H. With the demise of the M-21 'mothership, the name of the D-21 launch programme was changed from 'Tagboard' to 'Senior Bowl', although the D-21 was generally referred to as the 'Tag' and the remaining D-21's were modified for their new task and re-designated D-21Bs. Two B-52H aircraft (61-0021 and 60-0036) underwent extensive modifications to carry and launch the D-21B from pylons under each wing - the pylons were similar to that used for launching the X-15 from the NASA NB-52B. Further modifications included the installation of two launch panels and a variety of high-speed cameras to record the launch. All operational launches took place from the starboard pylon, the port D-21B was carried as a spare in case of a last minute malfunction. The launch sequence called for the B-52H to fly to a pre-determined launch point before dropping the D-21B from the starboard pylon. Once clear of the aircraft, the Lockheed designed 60' solid rocket would ignite, then as the combination passed through Mach 1.5, the D-21B's ramjet would ignite. After a burn of around 90 seconds the combination would reach Mach 3 and 75,000ft - at this point explosive bolts would fire to separate the D-21B which then flew off alone on its programmed sortie. 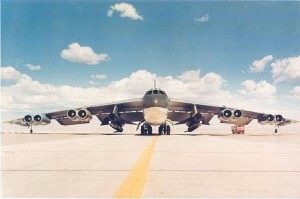 A special USAF unit, the 4200th Support Squadron was formed to operate the B-52H / D-21B combination and after training at Groom Lake took up permanent residence at Beal AFB in late 1969. The B-52H / D-21B combination was used for 4 operational sorties over China to investigate their nuclear test area at Lop Nor, some 2,000 miles inland of the China-Mongolia border. The first D-21 launched on 9 Nov 69 managed to photograph the site, but then due to a guidance malfunction, failed to execute its turn-back to the recovery area and flew straight on, eventually crashing in the former USSR. Many years later, after the end of the Cold War, Ben Rich of Lockheed visited the Russian Federation and was presented with the remains of the D-21 by the KGB. On 16 Dec 70 another D-21 reached Lop Nor, and returned to the recovery area, but after a flight of 2648mns, the hatch damaged the parachute and the camera package disappeared into the sea. On 4 Mar 71 another D-21 performed perfectly, managing to overfly Lop Nor, before returning to the recovery area after a flight of 2935nms. Once again the parachute was damaged by the hatch and dropped gently into the sea where it floated. Then, as a Navy ship tried to recover the hatch, it managed to run over it and damage it sufficiently for it to sink. Two weeks later on 20 Mar 71 another D-21 was tracked for 1,900 miles into China before it suffered some kind of malfunction and disappeared - the remains are probably still out there somewhere in the middle of the vast expanse of the Gobi desert, just waiting to be discovered. There is no evidence that the Chinese ever tracked any D-21 whilst they were hurtling over their territory. Late in 1971, as President Nixon decided it was time to improve relations with China, the Defence Department ordered Kelly Johnson that not only was the D-21 programme cancelled, but all the tooling was to be destroyed. Kelly Johnson was furious at the premature cancellation of the programme and believed that allowing the USAF to hold onto the drones for nine months at Beal, where they were probably taken apart and re-assembled numerous times, probably contributed to their poor operational record. Johnson firmly believed that had the Skunk Works been responsible for maintaining the drones, they would have performed as planned. In terms of its performance in the 4 operational sorties over China, the D-21 performed well, and the inability of the supporting units to recover the exposed film can hardly be blamed on the drone, assuming the hatches was ejected in the correct location. Like every Lockheed 'black' project, the D-21 was at the cutting edge of known technology and given time and the correct support, would probably have performed as advertised. But by the early 1970's reconnaissance satellites were already providing high quality close-up photographs of China and in reality had soon completed performed the mission that sadly eluded the D-21. As a postscript to the programme, in 1986 as the Soviet Union was beginning to implode, a CIA operative showed to Ben Rich, who was by then leading the Skunk Works, a present that had been sent to him by a Soviet KGB agent. The gift was identified as a panel from the engine mount of the first D-21 mission that vanished into China in Sep 1969. The wreckage had been found by a shepherd in Siberia and was eventually acquired by the KGB, after no doubt being carefully examined by various Soviet engineers. 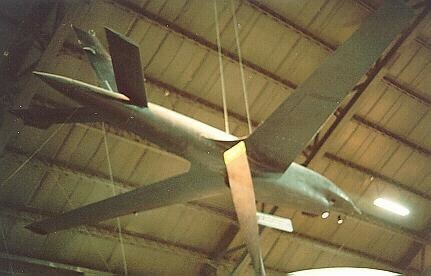 Despite the fact that this highly advanced drone never actually completed the mission it was desigbed for, the D-21s that survive in museums stand witness to the genius of Kelly Johnson and his 'Skunk Works' team and are the direct predecessors of todays strategic reconnaissance UAVs, such as the Global Hawk. The RQ-4A Global Hawk was originally developed by Northrop Grumman as an Advanced Concept Technology Demonstration (ACTD) vehicle to validate their design for a High-Altitude, Long Endurance Unmanned Aerial Vehicle (HAE UAV). The design was conceived to satisfy the Defence Airborne Reconnaissance Office (DARO) intention of providing an extended reconnaissance capability of enemy forces, day or night regardless of the weather, to a Joint Force commander. 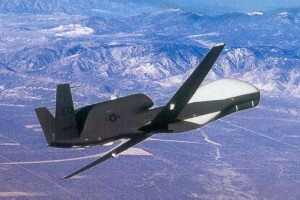 After a six-month competition between five competing companies to satisfy the DARO requirement for a conventional design, the Global Hawk was declared the winner in May 95. A complimentary Low Observable design competition was eventually won by the Lockheed Martin / Boeing DarkStar. 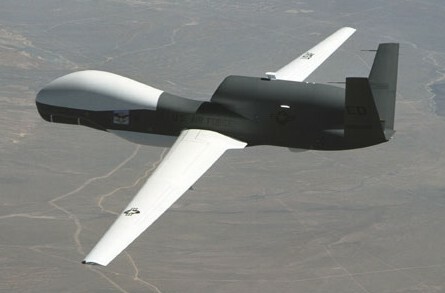 The Global Hawk is built by Northrop Grumman at the Teledyne Ryan Aeronautical centre in San Diego, California. The main sub-contractors are: Raytheon Systems who provide the sensors and mission control element, Rolls-Royce Allison who provide the AE 3006H turbofan engine, Vought Aircraft Industries who provide the 116.2ft carbon fibre wing and L3 who provide the communications system. The Raytheon System reconnaissance sensor suite includes a Synthetic Aperture Radar (SAR) together with Electro-Optical (EO) and Infra-Red (IR) sensors. With a 14,000-nm range, 42 hours endurance and the ability to cruise at 65,000ft, Global Hawk has the ability to direct its sensors over an area of 40,000 square miles in a single 24hr period. 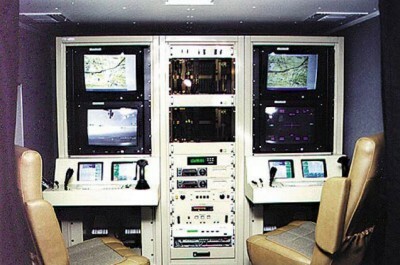 The vehicles flight control, vehicle management software and navigation functions are controlled by two Integrated Mission Management Computers (IMMC) developed by Vista Control Corporation in California. The IMMC combines the data from a Global Positioning System (GPS) and an Internal Measurement Unit (IMU) and then sends control instructions to a Inertial Navigation System (INAS) supplied by Litton Systems of California. 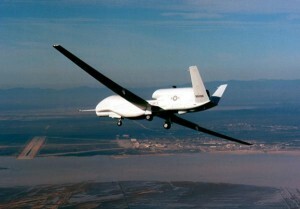 The accuracy and reliability of the IMMC was demonstrated in Apr 01 when a Global Hawk made the first non-stop flight by an unmanned aircraft across the Pacific Ocean, flying from Edwards AFB in California to the RAAF base at Edinburgh, South Australia, a distance of 7,500 miles, in 23 hours. The sensor systems supplied by Raytheon enable the Global Hawk to have a 24-hr reconnaissance capability, regardless of the weather. A 10-inch reflecting telescope acts as the common optics for both the infrared and electro-optical sensors. The electro-optical/infrared sensor operates in the 0.4 to 0.8 micron visible waveband and the 3.6 to 5 micron infrared band. In spot mode the sensor can cover a total of 1900 spots, each one 2km by 2km to an accuracy of 20 meters. In wide area search mode, the sensor can cover an area 10 kilometers wide, giving a total coverage of 40,000 square miles per day. The SAR, incorporating a Ground Moving Target Indicator (GMTI) mode down to 4kts, operates in the X band with a 600 MHz bandwidth giving 3.5kW peak power and can achieve resolutions of 1 ft in spot mode and 3 ft in wide area search mode. The sensors give the Global Hawk a 200km slant range, enabling it to stand-off from highly defended targets. The distinctive bulge on the top front surface of the fuselage of Global Hawk houses a 48 inch Ku-band wideband satellite communications antenna, part of a comprehensive communications system developed by L3. The system enables reconnaissance or control data to be transferred by either the Ku-band satellite communications system or X-band and UHF line-of-sight links. The onboard self-defence system includes an AN/ALR 89 radar warning receiver, a jamming system and an ALE 50 towed decoy system. The wing has a number of hard points capable of carrying up to 1,000lb each, enabling the vehicle to carry additional payloads externally when necessary. The Mission Ground Control Station for Global Hawk, developed by GDE Systems who are part of Tracor Aerospace, is housed in an 8ft x 8ft x 24ft shelter. The shelter houses a variety of mission planning, command, communications and image processing computers with four workstations for the staff and is equipped with satellite and line of sight data links to the vehicle. A separate launch and recovery ground station is housed in an 8ft x 8ft shelter, containing two workstations which access the launch and recovery mission computers, and has its own satellite and line of sight data links to the vehicle. Both systems can be transported in a single C-5B or in two loads on a C-17. The first of 7 development Global Hawks flew on 28 Feb 98 and the following year testing increased considerably, but was put back some months when a Global Hawk went out of control and crashed in Mar 99. 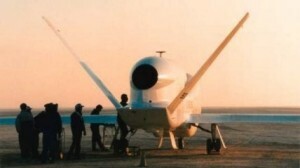 During the formal development phase of testing, Global Hawks actually saw operational service in Operation Enduring Freedom in 2001 and Operation Iraqi Freedom in 2003. In total, over 3000 flight hours were logged during the development phase, more than half of which were operational sorties. The first of 48 production vehicles rolled off the assembly line on 1 Aug 03, with the USAF planning to acquire around 51 vehicles, in batches of approximately 10 a year. The USAF Global Hawks will be operated by the 9th Reconnaissance Wing, based at Beale AFB in California, alongside their U-2Ss, and are a complete contrast to the SR-71 formally operated by the unit. The US Navy have also ordered 2 Global Hawks as testbeds for the development, integration and testing of future maritime UAV sensors and payloads, as well as helping to establish a concept of operations for their use. In the longer-term, the US navy is planning to acquire a Broad Area Maritime Surveillance (BAMS) UAV and, as many of their requirements will probably dovetail fairly neatly with Australia, I think it’s almost certain that the US Navy will end up operating a specialised version of Global Hawk from around 2009-2010. Given its huge radius of operation, 24 hrs at 3000nm from base, it would be feasible for the USN to operate Global Hawk from land bases, however, I suspect they would prefer a specialised version with folding wings capable of operating from their aircraft carriers. Australia already plan to purchase six Global Hawks, designed specifically for maritime surveillance but operating from land bases, to replace their AP-3C Orion maritime patrol aircraft, with the first vehicle becoming operational by 2009, and the final vehicle delivered in 2012. Future developments for the B-Model Global Hawk include an increased 130ft wingspan and a new fuselage length of 47ft 7in, giving a 50% increase in payload-carrying capacity and the first B Models are scheduled for delivery between 2004-5. The B-Model will incorporate a SIGINT capability and an electronically scanned phased-array radar. The electronically scanned phased-array radar will be based on the system developed under the Multi-Platform Radar Technology Insertion Program (MP-RTIP). The first SIGINT system will be based on an off-the-shelf Hyperwide system for communication bands, followed by a High Band Subsystem initially developed for as part of the Joint SIGINT Avionics Family and finally a new low-band subsystem. The US Air Force Research Laboratory has funded at least two feasibility studies into nuclear powered versions of Global Hawk., which could extend the vehicles flight time from hours to months. However, given the potential drawbacks of using a conventional fission reactor, research is focused on a quantum nucleonic reactor that could generate gamma rays to produce a jet of heated air. Whether this system will ever enter service remains debateable. A long-running debate has been going on in the US to determine whether to supplement their fleet of 31 U-2Rs with additional aircraft or allocate a bigger role to the Global Hawk. In 1997, Lockheed Martin unsuccessfully proposed an unmanned variant of the U-2S, known as the U-2U, to the USAF for long-duration, high-risk missions – presumably an attempt to kill development of the purpose built Global Hawk. Although the Global Hawk has a much greater range and endurance than the U-2S, the payload capability of the U-2S is twice that of the Global Hawk and is currently more versatile. The most likely solution is that both types will operate side-by-side, as currently each offer capabilities the other lacks. A debate has already taken place within the Department of Defence whether to publicly proceed with development of the next-generation spyplane, known as the U-X, or instead to concentrate ISR capabilities in UAVs. Given the USAF’s already clear preference for manned aircraft working alongside UAVs, I believe the U-X will be developed and in fact may already be in service, following a ‘black’ development programme. The German Navy (Marineflieger) has had a long-standing requirement to replace, by around 2008, the four ageing Breguet Atlantic ELINT aircraft, of Marinefliegergschwader 3 (MFG3) Graf Zeppelin based at Nordholz, that began operations in the early 1970’s. 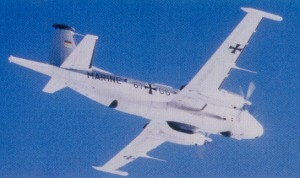 Five ELINT aircraft initially conducted the 'Slow Coach' SIGINT mission, mainly over the Baltic and North Sea, although one aircraft was withdrawn from service in 1995. Various options have been considered, including an new version of the Atlantic and a refurbished and re-engined version of the P-3C Orion. However, Germany were also keen to investigate whether the operational requirement could be most easily be met by the employment of a HALE UAV, such as Global Hawk. To display the capabilities of the Global Hawk to the German Ministry of Defence, Northrop Grumman decided to stage a series of demonstration flights in Germany. 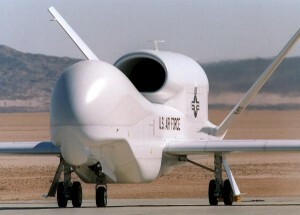 The first prototype RQ-4A Global Hawk 95-2001 left Edwards AFB California and flew across the Atlantic to the German Navy airbase at Nordholz, arriving at 0405hrs on 15 Oct 03 after a 20hr 53 min flight. 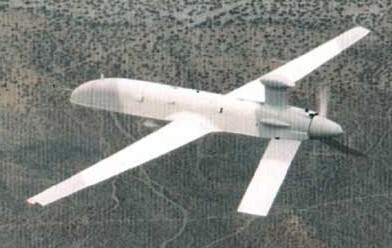 The RQ-4A was equipped with an EADS developed ELINT sensor package which had already undergone testing in the USA. The RQ-4A was based at Nordholz between 15 Oct and 6 Nov 03 during which it made a total of six demonstration flights over the North Sea, achieving a total of 29 hrs flight time. Using the EADS ELINT sensor package, the RQ-4A was able to detect and classify electromagnetic signals from aircraft, ships and land based systems, determining whether they were either tracking, guidance or surveillance radars, whilst relaying the information via a data link to an EADS ground station. If the RQ-4A is ordered to replace the Breguet Atlantic ELINT aircraft, it will also have the capability of carrying a SIGINT or COMINT package. After completing the final test flight on 6 Nov, the RQ-4A took off for the return flight to Edwards AFB, arriving the next day. NATO has a proposal for the Alliance Ground Surveillance (AGS) programme which will almost certainly be filled by a mixed fleet of manned aircraft and UAVs. Northrop Grumman are leading the TIPs consortium to meet this requirement with a manned Airbus A321 and a version of the RQ-4A known as the EuroHawk. The reconnaissance capability of Global Hawk is of a wholly different magnitude to any other previous system. For instance, during Operation Iraqi Freedom, a single Global Hawk flew a mere 3% of the image collection sorties mounted by coalition forces and yet collected an amazing 55% of all time-critical data on air defence targets. This one Global Hawk located at least 13 surface-to-air missile batteries, 50 SAM launchers, 300 canisters and 70 missile transporters as well as imaging 300 tanks, 38% of of Iraq's armoured force - an astonishing display of the vehicles.capability. Global Hawk will almost certainly be the most significant ISR UAV of this decade and given the developments planned to enhance its intelligence gathering capabilities, it could well be the pre-eminent ISR UAV of the next decade as well. 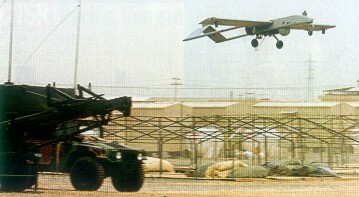 The successful use of UAV’s by the Israeli Army in the 1980’s created huge interest and the US Army was quick to appreciate the potential benefits of deploying a tactical UAV. By the late 1980’s the various requirements of the US Army, US Navy and US Marine Corps had been organised into a number of programs for different UAVs, one of which was for a short-range battlefield surveillance and target acquisition UAV known as the UAV-SR. In 1989 the McDonnell-Douglas Sky Owl and the TRW/IAI Hunter were selected for the final stage of the UAV-SR competition which eventually began in Mar 1991. 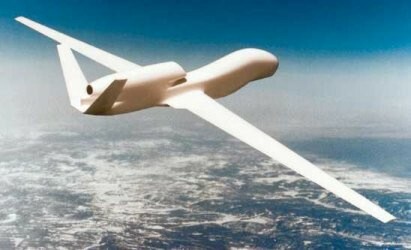 In Jun 1992 the Hunter was declared the winner of the competition and this was followed in Feb 1993 by a contract for seven complete Hunter systems, with an average of eight UAVs in each system. The complete programme was estimated to cost about $1.2 billion for the development and procurement of 50 systems, including 400 Hunter UAVs and associated equipment. The Hunter is based on the Israeli Aircraft Industries (IAI) Impact UAV and was known originally as the Joint Improved Multimission Playload Aerial Surveillance Combat Survivable (JIMPACS) – a dreadful acronym which thankfully was soon dropped. The Hunter was given the official designation BQM-155A and is a fairly simple design, powered by two 60hp Moto-Guzzi two cylinder piston engines driving front and rear propellers in a ‘push me – pull you’ configuration. Hunter was designed to take-off from improvised airstrips, but can also be equipped for booster-assisted zero length launches. Fitted with a GPS navigation system, the Hunter’s primary payload is the Multi-Mission Optronic Payload (MOSP) developed by IAI, this includes a TV/FLIR sensor allowing day/night operations and a data relay system. Other payloads have included a laser designator, ECM jamming equipment and a variety of communication systems, allowing the vehicle to act as an airborne communications relay. Mission radius is about 80nm, the limit of the data relay system, but this can be extended to about 160nm if a second Hunter is used as an airborne relay. Typical endurance is about 12 hours and the Hunter can fly autonomous missions, or be controlled from a ground station. The Hunter lands conventionally or engages an arrestor wire and has a parachute for an emergency descent. Low rate initial production began in January 1993, the first production Hunter flew in Feb 1994 and the first system was delivered in May 1994 with the designation BQM-155. However, the operational evaluation of the Hunter was little short of a disaster and seven Hunters were lost in crashes. It is believed that during this time inexperienced non-aircrew Army personnel flew the Hunter, but whether this had a bearing on the high accident rate is not known. It is believed that the accidents were the result of flight control software errors and unreliable engines. The cost of the programme had by this time risen to $2.1 billion and serious concerns were being expressed about the ability of the Hunter to achieve its design goals. The vehicle experienced difficulty transmitting video imagery during relay operations, failed to meet Army time standards for artillery adjustments and was unreliable. Furthermore, the Hunter system, including all the associated spares and support vehicles, was far too large to fit in the number of airlift aircraft specified for moving one system. As a result of the poor performance of the UAV and cost overruns, it was decided in Jan 1996 to cancel the remainder of the programme and put the majority of the 62 surviving Hunters together with the seven support systems in storage. This was a devastating decision that could well have spelled the complete end of the Hunter UAV programme. However, in Feb 1996 it was decided to continue flying a couple of the remaining Hunters at Fort Hood and Fort Huachuca in support of Army and Joint operations and training. As experience operating the Hunter grew, the system became more reliable and in Jul 1994 the Hunter flew nearly 200 hours in support of tactical warfighter training at the National Training Centre at Fort Irwin, California. In August 1994 a Hunter was used as a testbed for laser designator demonstration followed the next month by demonstrating its ability to carry a variety of payloads at the Joint Command and Control Warfare Centre. As a result of these demonstrations, Congress agreed to provide $12 million to remove three Hunters systems from storage to allow the Army to continue development and testing. In April 1999 a number of Hunter systems were removed from storage for operational use in Kosovo and the vehicle was re-designated the RQ-5A – a number of the UAVs were fitted with a laser designator for operations in the Balkans. At least four Hunters were shot down during operations in Kosovo, mainly to Serbian Strela-10 (SA-( Gaskin) missiles. In the first three months of Operation Allied Force, the Hunters flew over 600 hours during a 30-day period providing NATO forces with real-time imagery - two aircraft operated in tandem, enabling data to be relayed back to the ground stations from a considerable distance away. By mid-May 1999 the Hunter had accumulated 800 hours flight time and by the end of FY 99 this had risen to 3,500 hours. Since that time the Hunter had accumulated a further 3,000+ hours flight time in operations over the Balkans in support of continuing NATO operations. 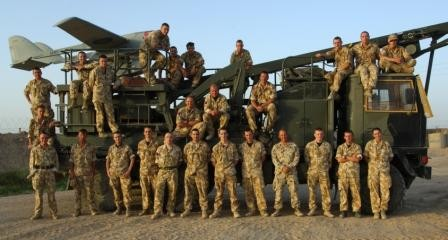 The Hunter was deployed to Iraq in March 2003 and at least two have been lost in crashes. In total, by Aug 2005 the Hunter had accumulated over 14,000 operational flight hours over the Balkans and Iraq – not bad for a system that was effectively cancelled. The Hunter GCS-3000 Ground Control Station is manned by two operators who occupy a pilot control bay and an observer control bay – an additional navigation control bay is equipped with a digital map display that displays the flight path and monitors the progress of the mission. There is also the option of installing an intelligence bay within the GCS-3000 that can provide data processing and distribution facilities. A Compact Ground Control System (CGCS) can be installed in a small ship, or forward deployed in a tactical environment or used to support airborne operations. The Hunter system has also been sold to Belgium and France. 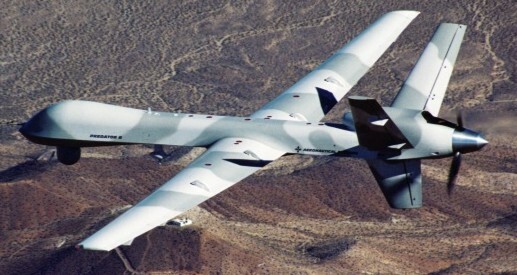 In Aug 2005, in response to a US Army requirement for an Extended Range / Multi-Purpose (ERMP) UAV, an enhanced multi-mission version of the RQ-5A, known as the MQ-5B Hunter II, took to the air for the first time. The Hunter II is a version of the IAI Heron Medium Altitude Long Endurance (MALE) UAV, offering greater endurance (15 hours v 12 hours) and higher operating altitude (18,000ft v 15,000ft). The MQ-5B also features upgraded avionics and has a diesel engine, which it is hoped will enable it to climb faster and spend less time being serviced. 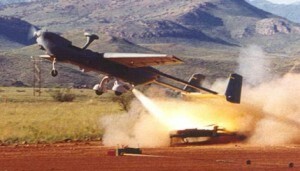 However, although the vehicle can carry and deploy a version of the Northrop Grumman Brilliant AntiTank (BAT) submunition, known as Viper Strike, that is capable of destroying a BMP combat vehicle or disabling a tank, the wings do not allow the vehicle to carry an air-to-ground missile, such as the Maverick. In addition, the Hunter lacks a SATCOM capability, which would allow the vehicle to operate at its maximum range without having another Hunter to act as a relay. None of these capabilities were thought necessary for a short-range tactical UAV like Hunter, but the lack of these capabilities has limited the employment of this UAV, particularly when compared to the Predator. In Aug 05 it was announced that a version of the General Atomics MQ-9 Predator, known as the Warrior, had won the ERMP competition and when it enters service in 2007 it will add considerable capability to the current US Army UAV fleet. In the meantime the US Army is looking at ways of upgrading the Hunter fleet to the E-Hunter configuration with longer wings, a 30hr endurance and an increase in the payload to 2,400lbs. The US Army has set aside $4.5 million for the E-Hunter upgrade and this would be sufficient to upgrade three or four vehicles. Considering the inauspicious start the RQ-5A had at the start of its service, it has gone on to perform well in the Balkans and Iraq. Like their colleagues in the US Air Force and Navy, the US Army has quickly grasped how essential it is to have a modern ISTAR UAV available to units deployed on operations. The RQ-5A Hunter has proved its worth in operations and will remain in service far longer than even the most optimistic observer would ever have dare predicted. Israel Aircraft Industries (IAI) Malat Division are one of the world leaders in UAV technology and one of their current UAVs is the Heron, a fourth generation long-endurance medium altitude system. Capable of taking off and landing automatically, the Heron can carry a payload of 250kg, has an endurance in excess of 40hrs and powered by a single 100hp turbo-charged Rotax 914 four cylinder, four stroke engine, the Heron can climb to 30,000ft. The Heron is capable of fully autonomous flight and can transmit data either by a line of sight datalink, or via another UAV acting as an airborne relay or via satellite. Typical Heron payloads include IAI Tarnam TV/IR Multimission Optronic Stabilized Platform (MOSP), Elta’s EL/M-2055 Synthetic Aperture Radar (SAR) multi target, track while scan system and there is still have room for a specific customer payload. The Heron has already achieved considerable success – it is the basis for the EADS Eagle which is being supplied to the French armed forces and one Eagle has also been tested by the UK Joint UAV Experimental Programme (JUEP). Turkey has ordered 10 Herons and associated ground stations in a $180 million contract and will take delivery of the first system by the end of 2005. India is also looking to buy up to 50 Heron’s and associated ground equipment in a $230 million contract. Israel has also decided to purchase ‘several dozen’ Heron’s in a $50 million contract to replace the IAI searcher as its main unmanned reconnaissance platform. In IAF service the Heron will be known as the Mahatz and represents a major leap in IAF capabilities. In particular, the IAF Mahatz, as well as carrying the Tarnam MOSP and EL/M -2055 SAR, will also carry an IAI Elta ELINT system and it is the ability of the Mahatz to function as a reconnaissance and ELINT platform simultaneously on missions of more than 40hrs that which will make it such an invaluable UAV to Israel. Until recently there has been a clear distinction between cruise missiles and UAVs. However, Lockheed recently unveiled plans to demonstrate a ‘persistent surveillance’ hybrid cruise missile / UAV named Top Cover. The air-launched Top Cover has forward-swept wings which fold against the fuselage during transit, weighs 200kg with a 20kg payload and is powered by a single turbofan engine. Planned to operate in surveillance mode at around 5,000ft with an endurance of 24hr, the Top Cover will be able to carry a variety of different sensors including: a GMTI radar, infrared and electro-optical cameras, an acoustic package and a SIGINT package according to the type of mission flown. Various warhead options are still being considered, but could include directed energy systems. Combined warhead and sensor packages can be carried, or a mix of missiles equipped with either sensors or warhead could work together to locate, identify and the engage targets. Lockheed intend to start demonstration flights with Top Cover in 2006. Back in 2003 Lockheed released details on another stealthy cruise-missile / UAV, but since then little or nothing has been heard of the Lockheed Minion. Like the Top Cover, the Minion would be air-launched, but is much larger than Top Cover with a launch weight of 3,400kg. Capable of carrying a 400kg payload, the Minion was described as being capable of carrying either a reconnaissance payload, a jammer system, a high-powered microwave weapon or four 100kg GPS guided small-diameter bombs. The Minion could also act as a decoy, provided the stealthy design was fitted with a radar-enhancement package. Like Top Cover, the Minion’s wings would pop-out on launch and a single turbofan engine would provide a 1,000nm range. Once again a mixture of Minions with different payloads would be capable of working together. Both these stealthy cruise missiles / UAVs would make an excellent weapon for the Northrop B-2 or in the case of the smaller Top Cover, the Lockheed F-22. The convergence of cruise missile, UAV and UCAV technology in these two missiles clearly demonstrates the way Lockheed is thinking. I suspect it won’t be long before Top Cover, Minion or another hybrid system is introduced into operational USAF service, indeed there are rumours that Minion was used in Iraq in the spring of 2003, so there’s a good chance the system is actually already available. The Royal Artillery of the British Army were the sole operators of the GEC/Marconi/ BAe Systems Phoenix battlefield UAV and given the long and troubled development of the system, its hardly surprising that no other country showed any interest in purchasing and operating Phoenix. 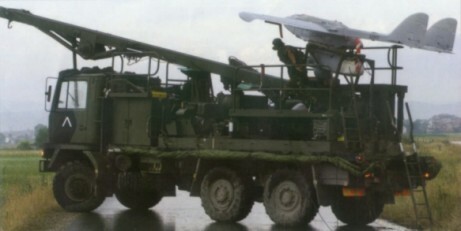 The requirement for a battlefield UAV to support the British Army and integrate with the Battlefield Artillery Target Engagement System (BATES), was originally outlined in the early 1980's with a planned in service date of 1989 and the first example actually flew in 1986. However, all kinds of problems were encountered and in 1995, with no sign that Phoenix would actually work as advertised, a complete review of the project was undertaken and alternative systems considered. As is so often the case with a British defence procurement contract let to a British company that fails to deliver, the decision was made to renegotiate the contract and allow the in service date to slip yet again to Dec 1998. Phoenix eventually managed to stagger into service in 1999 and saw limited service in Kosovo that year; eventually a total of 198 were delivered, many were lost in accidents and a number of others had to be cannibalised for spares. Constructed mainly of Kevlar, glass fibre, carbon reinforced plastics and Nomex honeycomb, Phoenix was powered by a 25hp two-stroke flat twin 'tractor' engine. Phoenix had a wingspan of 18 ft, could carry a payload of 110 lbs, cruised at around 70 kts and had a maximum ceiling of 8,000 ft. The radius of action was around 38 nms from the ground station and endurance 5 hrs. Phoenix was launched by a pneumatic / hydraulic catapult from the back of a specially designed Army truck, which was usually ready to launch within an hour of reaching the launch site; unfortunately the launch truck was too large to fit into the back of a C-130 or be underslung from a helicopter, making its deployment a slow process and hardly compatible with the expeditionary forces concept for the Army. One dedicated groundstation could control two Phoenix UAV's which were guided by a programmed GPS system or a backup radio system. However, all Phoenix carried was a infrared imaging system and the means to datalink the images - crucially it did not carry a laser designator. Phoenix was recovered by parachute, landing on its back with the impact being taken by a crushable hump. The final design for the Phoenix appears to be a classic example of a British system designed by committee with different agendas. Rather than a neat design with the sensors contained within the fuselage, the sensor payload, an infra-red imager, was slung in a pod underneath the fuselage. The end result was a UAV that looked like the losing entry, by a bunch of failed YTS graduates, in a 'design your own Heath-Robinson UAV competition' using components found in the nearest scrapyard. The old adage - if it looks right, it probably is right, certainly applies to Phoenix, which looks wrong and usually didn't work. Because of all the delays in getting this relatively unsophisticated UAV into service, the British Army finally ended up accepting Phoenix into service when it was already effectively obsolete, despite each Phoenix eventually costing a disgraceful £1.5M each. Unsurprisingly, Phoenix suffered a high attrition rate in active service. A total of 23 were lost in Gulf War II, between Mar-Apr 03, where it was nicknamed the 'Bugger-Off' by British troops because they generally never returned from a sortie - the residents of Basra are welcome to them. It is little short of shameful that a country like Britain, with it's industrial rescources and proud record of innovation, can produce a heap of rubbish like Phoenix and 'fob it off' on the military. I'm sure that every serviceman who had to struggle to get Phoenix to work successfully, must have wished the UK had simply done what the US Navy did and build an Israeli UAV under licence. Thankfully, the replacement for Phoenix, known as Watchkeeper, is finally about to enter service - the contract should have been placed in 2004, with entry into service planned for 2006. 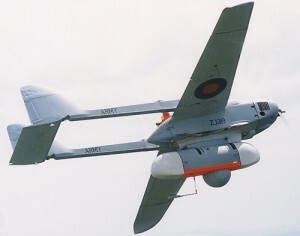 For all the usual political and financial reasons that plague UK defence procurement, the Watchkeeper contract kept slipping to the right but in 2005 it was eventually awarded to Elbit Systems of Israel for the supply of a number of Hermes 450 UAVs and supporting ground equipment with an in-service date of 2010. However, this delay only served to further highlight the inability of the Phoenix to operate in hot/high conditions and as an interim solution to the lack of effective dedicated UK ISTAR assets in Iraq and Afghanistan, a number of Hermes 450 UAVs and supporting equipment have been leased from Elbit to undertake these tasks until Watchkeeper finally enters service. Consequently, as the Phoenix system was now no longer required on 31 Mar 2008 it was retired from operational service. The Phoenix was neither cleverly designed nor well engineered and compares poorly with similar systems that could have been quickly purchased off-the-shelf from the US or Israel at far less cost and would have delivered far more effective performance and capability. The fact that Phoenix managed to achieve any effective results at all in nine years of service relects great credit on the men and women of 32 Regt RA who did there best to make a slik purse out of a sowes ear. Nevertheless, this ill-conceived UAV only serves to yet again highlight the inability of the UK government to provide the UK forces with the appropriate equipment. Sadly even to this day there remain some misguided and rather deranged individuals who believe that Phoenix was a good system and worth the money - despite all the evidence that the whole system should have been strangled at birth. The UK can now build and deliver effective UAVs, but nobody should be stupid enough to be blind to the inadequate operational history of the Phoenix. Thankfully the Phoenix is no more and I doubt it will be much missed by anybody - this is one Phoenix that will never rise from the ashes - it simply lacks the necessary performance. The increased public awareness of the capabilities of UAVs in recent years is due almost entirely to one particular UAV – the General Atomics RQ-1 Predator – a UAV that almost defines the current capabilities of these unusual vehicles. However, the Predator didn’t just emerge as a fully developed UAV, it is actually a development of the GNAT-750, which was itself developed from the Amber UAV. 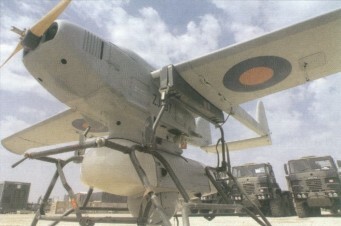 In the mid-1980s a company named Leading Systems Inc (LSI) began development of the Amber UAV for the Department of Defence Joint Programme Office. Although Amber showed considerable promise, it was fairly small and LSI soon realised that there was an optimum minimum size for a UAV to enable it to carry both sufficient fuel and sensors, as well as having the necessary stability to provide high quality video imagery. Consequently, in 1988 LSI began development of a scaled up development of the Amber, intended primarily for export. 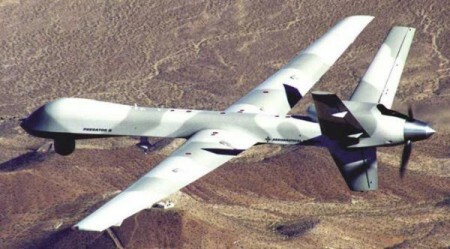 The new UAV first flew in the summer of 1989, but by this time LSI were in serious financial difficulties and in 1990 all its assets were purchased by General Atomics (GA), who then decided to continue development of the new UAV which they christened the GNAT-750. The GNAT-750 was powered by the same Rotax 582 engine used to power the Amber, but rather than the Amber’s high pylon mounted wing, had a more conventional low mounted wing and a much larger fuselage. The GNAT-750 was equipped with a GPS navigation system, allowing fully autonomous missions of up to 48hrs and was equipped with a stabilized FLIR camera, as well as a daylight and a low-light camera in a movable sensor turret under the nose. In 1993 the Joint Chiefs of Staff needed an of-the-shelf surveillance system to support UN peacekeepers in the war torn Former Republic of Yugoslavia (FRY) and purchased two GNAT-750’s, equipped with a modified sensor package. However, for various reasons, actual operations of the GNAT-750s was transferred to the CIA and although one of the aircraft was lost in late 1993, by Feb 1994 the CIA were ready to conduct surveillance operations over the FRY with the surviving UAV and eventually another leased one from a base in Albania. 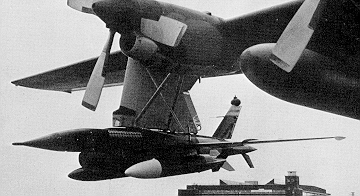 The main problem encountered in the operation of the GNAT-750 over the FRY was the limited range of the systems datalink – housed in a small tear-drop dome on the upper fuselage. 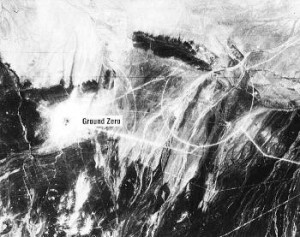 To overcome this problem, the CIA used a Schweitzer RG-8 motor glider as a forward relay for the command and control link and the sensor data, but as the slow motor glider spent 6 hours in transit to and from its orbit area, it could only spend 2 hours on station, rather negating the benefit of the 48hrs endurance of the GNAT-750. Bad weather and difficulties with the data link over the mountainous terrain of the FRY caused a number of problems and consequently operations were curtailed earlier than planned. The two GNAT-750s were then refitted with a thermal imaging sensor and an improved SIGINT package and redeployed to Croatia in 1994, achieving a significantly more effective performance. 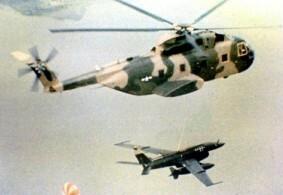 The CIA later acquired additional GNAT-750 systems, equipping some with a high resolution Synthetic Aperture Radar (SAR) and using others to act as airborne datalink relays. The CIA’s activities with the GNAT-750 were eventually given the code name Lofty View. The next stage in the development of the aircraft commenced in 1997/8 when GA commenced work on an improved version of the UAV which they christened the I-GNAT (Improved GNAT). Once again this was basically a scaled-up version of the GNAT-750, with a more powerful Rotax 912 or turbocharged Rotax 914 engine, allowing it to carry an increased payload including weapons or additional reconnaissance equipment on five external hardpoints. In addition, more versatile mission planning software was also developed for the I-GNAT. In Oct 98 the I-GNAT was flying and its increased performance gave it an endurance of 48hrs and a maximum altitude of over 30,000ft. The aircraft was still controlled by a C band line of sight data link and whilst this was effective out to a range of 150 miles, but by now the next stage of the development of this UAV was already well underway. 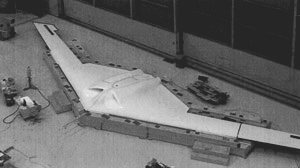 In Jan 1994 an Advanced Concept Technology Demonstration (ACTD) programme to develop a Tier II Medium Altitude Endurance UAV was awarded to General Atomics. General Atomics already had the GNAT-750 series of UAVs flying, and this version was developed to eventually become the Predator A. The Predator A has the same low-wing monoplane design, consisting of a high aspect ratio wing attached to a fairly narrow fuselage and a fully articulated inverted V tail – the vehicle is constructed from carbon-epoxy / Kevlar composites. 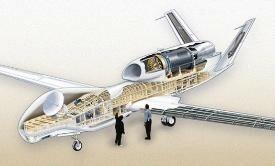 The fuselage houses both the payload and all the fuel for the vehicle. At the rear of the fuselage is an 80hp four-cylinder Rotax 912UL fuel injected four-stroke engine, driving a 4ft 11in variable pitch pusher propeller. Subsequently, the 912UL engine was replaced by a 113hp Rotax 914 four cylinder four-stroke turbocharged engine. 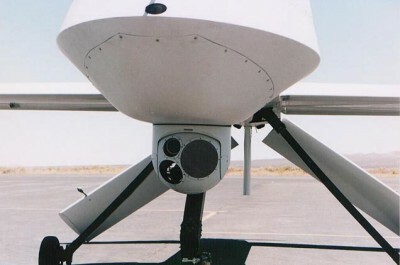 A fixed nose mounted colour TV camera is used for remote piloting and a GPS internal navigation system is also installed. The mission equipment consists of a Northrop Grumman AN/ZPQ-1 Tactical Endurance Synthetic Aperture Radar (TESAR), developed from a system planned for the cancelled A-12 strike aircraft and a Wescam Versatron 14TS Infra Red / Electro-Optical (IR/EO) sensor turret. Line of sight control and transfer of data is accomplished by C and Ku band datalinks. However, the biggest difference in the Predator from the GNAT-750 is the addition of a Ku-band SATCOM link, with the antenna housed in a bulge above the nose. Development of the Predator A continued with the addition of a de-icing system and the replacement of the Wescam Versatron IR/EO sensor turret with a Raytheon AN/AAS-52(V) Multi-Spectral Targeting System (MTS) – as well as housing an IR/EO sensor, this new system incorporated a laser designator. The addition of reinforced wings also allowed the Predator to carry munitions, typically a laser guided Hellfire anti-armour missile under each wing. A number of other weapons, such as the Singer air-to-air missile, the Brilliant Anti-Tank (BAT) munition and the Small Diameter Bomb (SDB) have been tested on the Predator, but the Hellfire appears to be the weapon of choice for most situations. Because most photographs of the Predator A show it in flight, the scale of the aircraft is often difficult to determine and in reality it is much larger than it seems. Predator A is 27ft long and has a 49ft wing span. 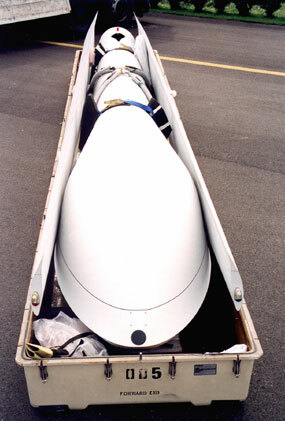 The air vehicle was designed to break down into six primary parts and can be easily packed in container, known as a Coffin, for transportation. The Predator Ground Control Station (GCS) is housed an a 30ft x 8ft x 8ft commercial container and houses the pilot position, the payload operator position, a Data Exploitation, Mission Planning and Communications (DEMPC) position where imagery is annotated and initially exploited and a SAR workstation. The data acquired by Predator is disseminated through the Trojan Spirit II, a Special Compartmented Information (SCI) satellite communications system. This allows the transmission and receipt of secure voice and National Imagery Transmission Format (NITF) imagery data over the SATCOM link using the Joint Deployable Intelligence Support System (JDISS) and the Joint Worldwide Intelligence Communications System (JWICS). Using the SATCOM link Predator can either be controlled from either the deployed CGS or from the fixed facility Main Operating Base (MOB), housed at Indian Springs Air Force Auxilliary Field (ISAFAF), northwest of Nellis AFB near Las Vegas in Nevada. Current operations appear to prefer using a forward deployed Launch and Recovery Element (LRE), of about 60 people, to prepare and launch the vehicle, before control is handed over to the MOB at ISAFAF who actually fly the mission, before handing over control back to the LRE for the actual landing. The Predator A typically needs a 5,000 x 125ft hard surface runway to take off and land. It can cruise at between 70-90kts at up to 25,000ft, but typically operates much lower to provide the best definition for its IR/EO cameras and the SAR. Endurance is around 40hrs, giving the ability to remain on station for 24hrs at 500 miles range. The next stage in the Predator development is the Predator B, a much larger and more capable machine. Predator B first flew on 2 Feb 01 and is powered by a Honeywell/Allied-Signal TPE-331-10T turboprop engine and although the fuselage is the same as its immediate predecessor, the wing span has been increased from 49ft to 64ft. The increased power of the turboprop engine gives the Predator B an increased maximum speed from 135mph to 240mph and although this is useful when in transit to the area of interest, the typical cruise speed remains between 70-80 mph. The biggest difference, apart from the more conventional ‘upward’ V tail, that Predator B has over the Predator A is the increased payload from 450lbs to 475lbs and the ability to take this payload up to 50,000ft for 25hrs if necessary. Another version of Predator B is available powered by a Williams FJ-442A turbofan engine, this version provides a ceiling of 60,000 with a 475lbs payload, but only for 12hrs. 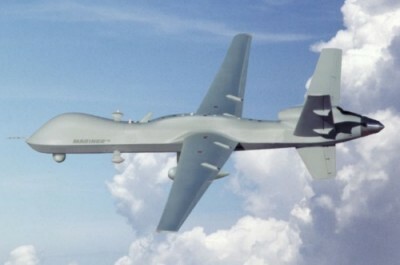 Other versions of the Predator have been offered, but the USAF appears to have settled on the MQ-9B Predator B as its armed Hunter-Killer UAV. 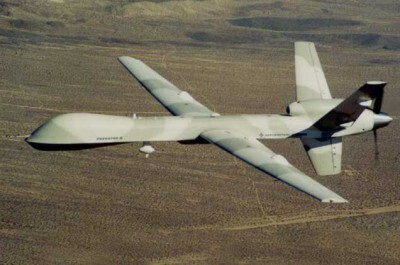 The MQ-9B Predator is fitted with six stores pylons and the two innermost pylons are ‘wet’ to allow the carriage of fuel tanks if necessary, although conformal tanks are also being considered. A MQ-9B carrying two 450kg external fuel tanks and 450 kgs of munitions has an endurance of 42 hours. The USAF has formed three reconnaissance squadrons, the 11th, 15th and 17th, to operate the Predator, all are based at ISAFAF in purpose built facilities. Current plans call for 12 complete Predator systems, with 4 UAVs assigned to each system. The Predator has seen operational service over Bosnia in 1995, the Kosovo air campaign in 1999, and over Afghanistan and Iraq in 2001. However, a recent report indicated that the Predators have proved so successful, that for the LRE teams, they have become victims of their own success and have been almost continuously deployed on operations, leading to considerable disruption in their personal lives and careers. The approach was obviously successful because, with almost no publicity, the RAF began to actually operate the Predator. Early in 2004 the RAF formed 1115 Flight, also based at ISAFAF, Nevada, as part of a subordinate unit to the US Air Force’s 15th Reconnaissance Squadron. The compliment of 1115 Flt is around 44 personnel, the Predators are flown by RAF GD pilots, either with a fast-jet or fixed-wing background, supported by a tri-service mix of sensor operators, including some 'ground' personnel from the intelligence branch. Data interpretation is undertaken by various intelligence specialists from the US and UK. Individuals from 1115 Flt are completely intergrated with their US colleagues operating the Predator in Iraq, as part of a US/UK Combined Joint Predator Task Force, with UK operaters acting in support of UK forces operating around the Basra area. All RAF personnel are trained alongside their US colleagues at ISAFAF and many have achieved a particularly high standard on their courses. A report in the Sunday Times on 3 Oct 04 suggested that personnel from 1115 Flt were operating from two sites, Balad, near Baghdad and Nellis AFB, Nevada – which I suspect is actually ISAFAF which is near Nellis. At Balad they were reported to be part of the teams responsible for take-off and recovery, whilst in flight the Predators were being controlled remotely from Nellis, via satellite link. Nevertheless, although the Predator detachment at Balad are undoubtably quite capable of controlling the aircraft throughout their mission, current practice appears to favour the actual control of the 18hr+ missions being conducted from ISAFAF, which has the benefit of cutting down the number of staff in theatre. The personnel of 1115 Flt have gained considerable experience operating the RQ-1/MQ-1 Predator in an Intelligence, Surveillance, Target Acquisition and Reconnaissance (ISTAR) role, which has also included the firing of an undisclosed number of Hellfire air-to-surface missiles. The high quality support 1115 Flt has provided to UK forces convinced many British Army officers that the UK simply could not wait for the arrival of the planned Watchkeeper UAV, which is not scheduled to enter service until the end of the decade, and that the UK needed their own dedicated Predators to ensure even greater support could be provided to UK forces in Afghanistan whenever it was required. As is always the case with the over-tasked, under-funded and poorly equipped UK forces, identifying where money can suddenly be found for any new equipment, not planned years ahead, is usually a show-stopper. 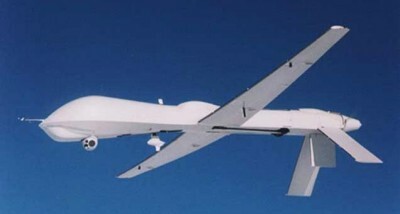 However, rather unusually for the Treasury bean counters, because of the urgent operational nature of this case, they have agreed that future funding set aside under the Project Dabinett programme can be brought forward and used for the purchase of two MQ-9 Predator B UAVs and the necessary support equipment. The purchase of the two MQ-9 Predator B’s will include fitting the vehicles with an electro/optical sensor, a synthetic aperture radar and line-of-sight and satellite data links. The final bill for the two UAVs and support equipment is believed to total some $77 million and they are expected to have achieved an initial operating capability in the autumn of 2007 and the platforms will be delivered direct to Iraq and will be operated by eight to nine qualified crews based at Creech AFB. 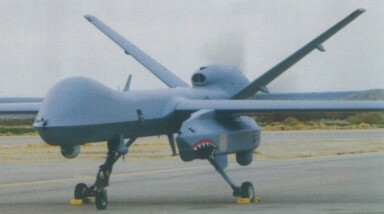 This is the second time that the UK has attempted to purchase the Predator, with the Treasury having turned down an earlier bid in 2006 due to their usual excuse of ‘resource shortages’ – as a basic principal the Labour government would rather give free handouts to economic migrants than ensure that UK Forces are provided with decent equipment. However, having decided to ignore the lessons learnt from the numerous previous British involvements in Afghanistan, and commit UK forces into a no-win situation in the lawless Hemland province, even the witless and enfeebled Tony Blair is beginning to realise the difficulties that the troops on the ground are facing and has been forced to actually do something effective for once. However, currently in the UK forces only the personnel of 32 Regiment Royal Artillery have operated a British owned operational UAV and, in the usual Army fashion, the ‘pilots’ are enlisted soldiers - this unit is also destined to eventually operate the Watchkeeper. In contrast, the new RAF MQ-9 Predator B’s will be flown by a commissioned aircrew officer, who will have been posted to 1115 Flt from normal flying duties. The different Army and RAF policies on what should constitute the appropriate background for UAV operators is bound to yet again focus attention on the RAF’s policy of only using expensively trained aircrew to fly the Predator. Now that the US Air Force have decided to establish a specialist UAV operators career path open to non-aircrew, I wonder how long it will be before the UK Treasury insist that the RAF also follow suit and cease mis-employing highly qualified pilots, trained to fly fast-jets at considerable expense, to actually fly UAVs when their experience is desperately needed elsewhere, particularly on the front line. 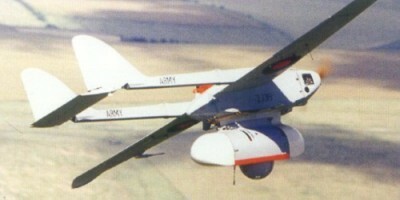 The RAF also decided to formally establishan RAF squadron to operate these two new UAVs. 39 squadron, will comprise the current 1115 Flt, which will become A Flt, and the additional personnel, who will operate the two new MQ-9 Predator B’s, who will form B Flt. The UK has already tested the Goodrich DB-110 long-range optical sensor from their RAPTOR pod on an MQ-9 and I suspect it will not be long before this sensor appears on these UAVs. Apart from the RAF, the Italian Air Force is only other Air Force to have expressed an interest in purchasing the Predator system and currently they have six UAVs on order, with options for an unspecified additional number. The first aircraft was flown on 31 Jan 04 at Gray Butte, California, but was then written off in a crash on 7 Feb 04. The Italian Predators will be operated by the newly formed Gruppo Velivoli Teeguitati (Teleguided Vehicle Squadron) which is attached to 32 Stormo at Amendola. The US Navy is also considering the possibility of using a version of the Predator B, known as the Mariner, to meet their Broad Area Maritime Surveillance (BAMS) requirement. This new version combines the larger wings of the Altair version with the Predator B fuselage, allowing the carriage of additional internal fuel. The Mariner will be capable of 49 hour missions carrying an 800lb payload internally and up to 3,000lb externally. The payload will probably be the Raytheon SeaVue maritime surveillance radar and the AN/AAS-52 multi-spectral targeting system. After some teething troubles fairly typical of such a complex UAV, the Predator has gone on to prove itself in many different theatres of operation as both a reliable and capable UAV. Development of the Predator is continuing and the vehicle will continue to grow in both size and capability enabling it to take on even more roles in the future. In 1948 the USAF issued a requirement for a jet powered aerial target, designated Q-2, capable of high subsonic speed for use in ground-to-air and air-to-air gunnery and in August that year it was announced that Ryan was the winner of the competition. Ryan first flew their XQ-2 drone in early 1951 and later that year began mass production of the drone now known as the Q-2A Firebee – the US Navy and Army also order similar versions of the same drone. Powered by a Continental J69-T-19 turbojet, the Q-2A was launched into the air by an Aerojet General X102F solid-fuelled rocked. The drone was recovered by a two-stage parachute system that would activate if the drone was hit or it suffered an equipment failure. 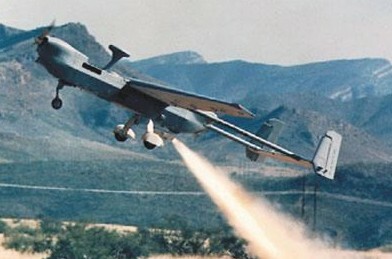 Ryan continued to develop the Firebee drone and in 1960 put into production the Q-2C drone which had a larger airframe, a chin engine intake and longer wings. 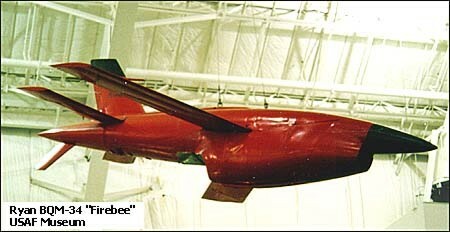 The Q-2C drone remains almost unchanged to this day and is still the standard Firebee I subsonic drone configuration. Further developments introduced higher altitude versions, air launched versions and versions with higher performance and to date over 6500 Firebee I have been delivered to the US armed forces. Production of the latest version for the USAF, the BQM-167A Skeeter, began in 2004. Various supersonic versions of the Firebee have also been produced and these versions are known as Firebee II’s. 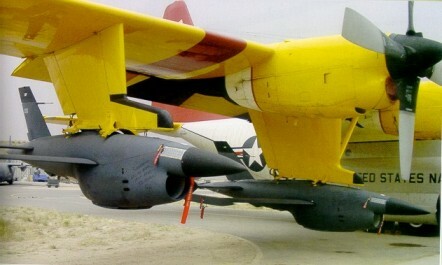 By 1961 the success of the Firebee target drones resulted in the USAF instructing Ryan to develop a reconnaissance version of the BQM-34A under Project Fire Fly. This resulted in the Firebee Model 147A which first flew in 1962, the drone also used the same Continental J69-T-29 engine and appeared identical to the standard BQM-34A, but actually had a new navigation system and greater fuel capacity. Like all subsequent versions of this drone, it was air-launched from underneath the wing of a specially modified Lockheed DC-130 Hercules. 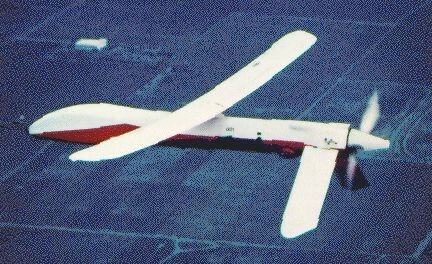 Tests of the Model 147A were successful and the aircraft was designated the AQM-34 and various versions of this drone were flown over North Vietnam during the Vietnam War, although not all versions were given an AQM designation. This high altitude version had a very large wingspan, more than three times the size of the original Firebee, that could carry additional fuel and enabled the drone to operate between 60-70,000ft and gave it a range in excess of 2,400 miles. Between Mar 1967 and Jul 1971 a total of 138 missions with AQM-34Ns were launched from DC-130 aircraft to fly pre-programmed sorties over North Vietnam and China and almost 67% were recovered. The drones were recovered by deploying a parachute that was then snatched in mid-air by a helicopter equipped with the Mid Air Retrieval System (MARS). However, several AQM-34Ns were lost over the Chinese mainland. 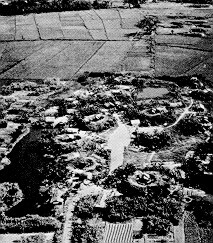 At least one of these drones were recovered in reasonable conditions and, as they were incapable of developing the technology themselves, in 1969 Chinese engineers at the Beijing Institute of Aeronautics began reverse engineering the done into the WuZhen-5 (WZ-5) which first flew in 1972. 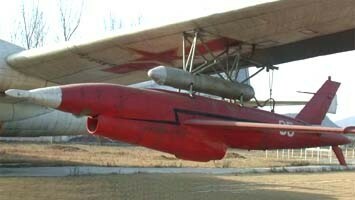 In 1979 the WZ-5 was used to collect imagery in the Sino-Vietnam War and remains in service as their only operational unmanned drone, The WZ-5 was launched initially from under the wing of a Tu-4 Bull, a Soviet copy of the Boeing B-29 bomber and later from under the wing of the Shaanix Aircraft Company Y-8E, a Chinese copy of the Antonov An-12 Cub. By comparison with current western UAVs, the WZ-5 is obsolete and can only operate effectively in daylight and cannot data-link its imagery to a ground station. It will be interesting to see if the Chinese are able to develop a modern UAV with the capability of current western systems, or if they continue their habit of stealing and then copying technology from other countries. This version of the RPV was a medium altitude ECM variant built as part of the Compass Bin programme. It carried active jamming or passive AN/ALE-2 chaff-dispensing pods. This version was optimised for low-altitude day photography and was an interim model introduced into service until the arrival of the AQM-34L. This was a night reconnaissance version and had short wings but an uprated engine. This was the most numerous variant of this RPV and was the definitive low altitude photo-reconnaissance model. Several hundred examples of the model were built under the Compass Bin and Buffalo Hunter programs. Some were equipped with a real-time TV camera and transmitter system and were known as the AQM-34L/TV. One example of the AQM-34 L known as ‘Top Cat’ completed no less than 68 successful missions over North Vietnam before it was finally lost. This version was a AQM-34L fitted with a real-time data link system. Some examples of this model were fitted with a LORAN navigation system and were known as the AQM-34M(L) and could fly low-level missions between 200-500ft. This version was optimised for high-altitude photo-reconnaissance and was fitted with the more powerful J100-CA-100 turbojet engine. In the event only a few high-altitude missions were flown between 1969-70. However, when an EC-121 was shot down whilst engaged on SIGINT duties near the coast of North Vietnam, it was decided to introduce a SIGINT version of the AQM-34P to allow it to undertake the dangerous SIGINT mission. This was the SIGINT version of the AQM-34P and sported various antennas along the fuselage. The final examples were also fitted with underwing tanks to increase their range. This was an updated version of the AQM-34Q and carried underwing tanks as standard and had improved SIGINT equipment. These Ryan RPVs and many others made a very significant contribution to the overall reconnaissance effort during the Vietnam War. The wisdom of always having a reconnaissance aircraft make a Battle Damage Assessment (BDA) run over a target after it had just been attacked was soon exposed as an increasing number of aircraft were shot down. When the Ryan series of RPVs became operational the ability to use these unmanned RPVs for BDA and other highly dangerous duties undoubtably saved many lives. Furthermore, the use of RPVs in Vietnam demonstrated how useful these vehicle could be in combat. However, many USAF senior pilots were against unmanned aircraft on principle and after the Vietnam War did their best to stifle development of more advanced RPVs in favour of manned aircraft. 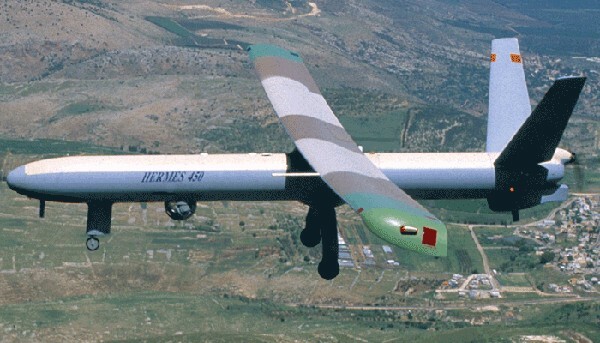 It was left to the Israeli Armed Forces in the 1982 campaign in the Bekka Valley to show the rest of the world how small Unmanned Aerial Vehicles (UAVs) equipped with electro-optical sensors could provide near real-time reconnaissance data from high-risk areas of enemy territory. The Teledyne Ryan BMG-34 is still used on ocassions and in Gulf War II was used by the USAF to simulate manned aircraft attacking Iraq, this caused Iraqi radars to switch on and track the PRVs making the radars vunerable to attack. Although the US once again leads the world in UAV technology, they could have been even further ahead if, building on their experience with RPVs in Vietnam, the concept of UAVs had then been wholeheartedly embraced by the upper echelons of the USAF. One of the unexpected surprises of the 2006 Farnborough Show was the decision by Lockheed Martin to unveil their P-175 Polecat UAV. The Polecat is a tailless, high-altitude demonstration vehicle which was designed and built in just 18 months, commencing in March 2003 using USD27 million of Lockheed Martin funding, however the UAV did not actually fly until 2005. According to Lockheed Martin the Polecat was built to test a range of new technologies critical to what the company foresees as a ‘third generation’ of unmanned platforms. Initial flight trials have already taken place and sometime in 2006 further trails will be conducted with various sensors installed, presumably from Groom Lake. The key design feature of the Polecat is the 27.4 meter (90ft) span advanced laminar flow wing, roughly the same as the Bombardier DHC-8 Dash 8 regional airliner, which gives the design great aerodynamic efficiency and a very low observable cross section. As the Polecat is simply a demonstration vehicle, the wing has been designed for low observability, but has not been treated with any other low observability features, such as special paint of RAM, even so, a blended wing design like this would be extremely difficult to detect on radar. Powered by two Williams FJ44-3E turbofans producing a combined thrust of 6,000lb, the Polecat has a gross weight of 4,080kg (9,000lbs) and can carry a payload of 455kg (1,000lbs). The Polecat is designed to operate between 60,000 to 65,000ft, above the altitude where contrails form, and will also be fitted with a contrail suppression system to eliminate any contrails that might form when the UAV is operating at lower altitudes because of cloud cover. Needless to say a lot of questions about the Polecat remain unanswered. For one, the agreement of a ‘customer’ had to be sought before the Polecat was unveiled, but exactly who is that ‘customer’? Presumably it’s the US Air Force, but perhaps the CIA is looking a acquiring a strategic surveillance and reconnaissance UAV? Certainly the details released of the size, weight and performance of the Polecat suggest that a production version would be capable of mission anywhere between 18-24 hours. Secondly, could this vehicle be the ‘Son of Darkstar’? I think the easy answer here is simply no. It’s clear that a much larger version of the Darkstar was developed in a ‘black’ programme after the project was officially cancelled and has since been spotted by high-flying U-2 pilots orbiting above their aircraft in various trouble spots around the world. Therefore, if Lockheed Martin are to be believed, the Polecat was designed long after the ‘Son of Darkstar’ was actually in operational service and although it may have drawn on some of the systems used in the earlier design, they are two completely separate UAV’s and the ‘Son of Darkstar’ has still to be revealed. It’s unusual for Lockheed Martin to release details of a ‘black’ programme this quickly, so they almost certainly have an ulterior motive. For a number of years now General Atomics with the Predator family, Northrop with the Global Hawk and Boeing with their experimental Bird of Prey have appeared to have a significant advantage over Lockheed Martin in the design and development of UAVs. 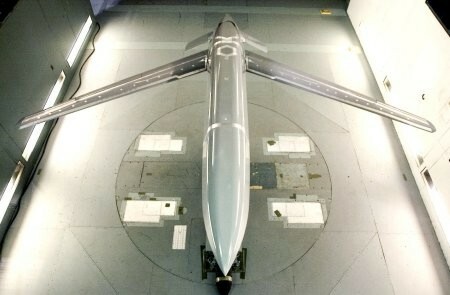 However, Lockheed’s recent involvement in UAV development has largely taken in ‘black’ projects and publicly unveiling the Polecat is a means of redressing the industrial balance by demonstrating to those in Washington that Lockheed are still at the very front of current UAV technology. In particular, by quickly designing and flying the Polecat within a tight budget Lockheed Martin now have an insight into three areas critical to the design of the next generation of UAVs: reducing the manufacturing costs of large composite airframe designs, lowering the capital cost of manufacture by using advanced tooling techniques and integrating a fully autonomous flight control and mission handling system that requires no human intervention. Another factor that will almost certainly have influenced Lockheed Martin’s decision to develop the Polecat is the USAF’s search for a long-range manned or unmanned strike aircraft to enter service around 2018. Now that the USAF have decided to terminate much of their involvement in the Joint Unmanned Combat Air System (J-UCAS), almost certainly because of pressure from the ‘pilot mafia’ at the top of the food chain in USAF, they are hoping that emerging technologies will make a manned system more suitable than an unmanned system – time will tell, but I suspect that as technology improves, the arguments for having an unmanned system will only become more compelling. Certainly one option Lockheed will offer to the USAF will be a subsonic UAV, almost certainly derived from the lessons they have learnt from building the Polecat. In March 2007 Lockheed announced that the only example of the P-175 Polecat had crashed and been destroyed on 18 December 2006 whilst operating over the Nellis Test Range in Nevada. The UAV was on its third test flight and flying normally “when a failure in the flight termination ground equipment caused the aircraft’s automatic fail-safe flight termination mode to activate, irreversibly terminating the flight. The fail-safe mode, as required by range safety for missiles and unmanned systems, is designed to terminate the flight of an uncontrolled air system to ensure that it does not deviate from the range.” according to an air force statement. The delay in announcing the loss of the Polecast was caused by the length of the investigation into the causes, as well as the classified sensitivities surrounding the aircraft and the base from which it operated – Groom Lake, Nevada, otherwise known as Area 51. It remains to be seen whether Lockheed will build a replacement Polecat – it may well be unnecessary as Lockheed have demonstrated their capability to rapidly design, build and fly a large, stealthy UAV, using many off-the-shelf components, putting them firmly back in the market with Boeing and Northrop Grumman for any UAV contract that evolves from the USAF’s Future Long-Range Strike programme. Of course there is another possibility – that the crash never happened and that this is just a ploy to move the entire P-175 programme into a follow-on black programme, well away from the public gaze. Only time will tell the truth behind the air force statement and whether in fact the P-175 Polecat continues to fly in a programme designed to support or supplement the very stealthy ‘Son of Darkstar’ UAV. In the mid-1990s the US Army, Navy and Marine Corps drew up a specification for a joint Tactical UAV (TUAV) that would meet their requirement for a short range battlefield surveillance and target acquisition vehicle. 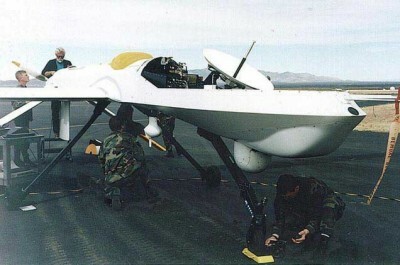 In 1996 the Mil-Tec Hellfox UAV was selected to meet this requirement and in May 1996 Alliant Techsystems was awarded a contract to develop the Outrider TUAV system using the Hellfox design. Unfortunately, the Outrider programme soon ran into trouble when the composite fuselage had to be re-designed in aluminium when it was discovered that a composite design offered insufficient shielding from electromagnetic interference. The eventual Outrider UAV design was discovered to be over-weight and performed poorly thanks to its under-powered McCulloch 4318F piston engine, which resulted in yet another re-design. The final version, designated the RQ-6A, first flew in Nov 1997 and had a more powerful UEL AR-801R rotary engine, but many problems still remained unresolved. In Oct 1998 the Navy and Marine Corps left the programme because of cost and performance issues. 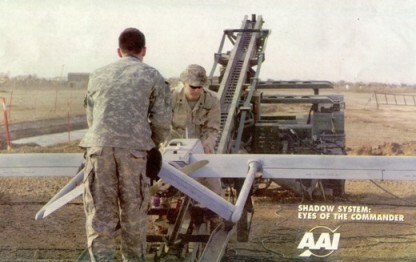 Then in 1999 the inherent problems with the RQ-6A Outrider were brought into sharp focus when the US Army conducted a competitive evaluation between the RQ-6A and the AAI Corp Shadow 200 TUAV. The final report, which concluded that the Shadow 200 would better meet the Army requirement, was the final nail in the coffin of the RQ-6A Outrider and in late1999 the US Army finally cancelled the entire RQ-6A Outrider programme. RQ-7B Shadow launch The AAI Corporation RQ-7B Shadow is a twin-boom pusher layout, similar to the RQ-2 Pioneer and RQ-5 Hunter, has a 13 foot wingspan, weighs 350 lbs and flies at around 14,000ft at 70 knots with around four hours endurance. It has a fixed tricycle undercarriage, is powered by a single UEL AR-741 rotary engine, can carry a GPS system for autonomous operations, be launched by a catapult or make a conventional take-off and either lands conventionally or uses its tailhook to catch an arrestor cable for a shorter landing. 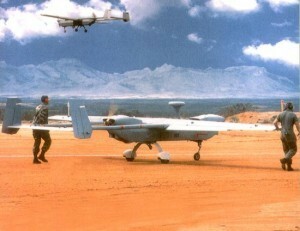 A complete Shadow 200 system consists of four RQ-7A UAVs and support equipment that includes two Ground Control Stations (GCSs) that control the UAVs, two ground data terminals that provide Line-of-Sight and non- Line-of-Sight datalinks, a hydraulic launcher, a tactical automatic landing system and an aerial vehicle transport. RQ-7B Shadow after launch The RQ-7B is used for day/night reconnaissance, surveillance, target acquisition and battle damage assessment and to achieve these tasks is fitted with a Wescam IR/EO sensor turret – a SAR/MTI unit and a hyperspectral camera may also be fitted in the future. Eight complete Shadow 200 systems were first ordered by the US Army in Dec 2004 and further orders soon followed – to date 64 systems have been ordered totalling 256 RQ-7Bs. RQ-7B Shadow in Iraq The Shadow 200 and its support equipment have proved their worth time and again in support of US forces in Iraq, where they have been both reliable and effective, despite the very adverse operating conditions. Poland has expressed an interest in purchasing two Shadow 200 systems in a deal worth $73M to support their manoeuvre brigades and, although this deal has yet to be agreed by the US Congress, it is likely to be approved.